On Wednesday morning, PM Modi ahead of the elections took to his Twitter handle and urged the Indian citizens to avail their right to vote and tagged the opposition leaders and Bollywood celebs. 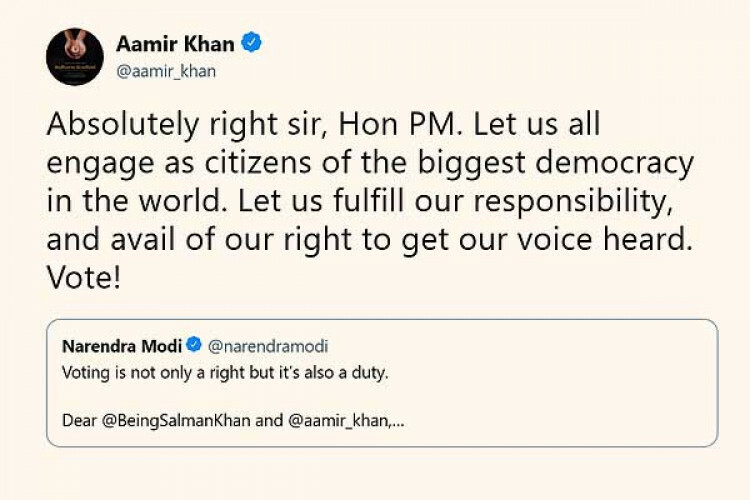 The stars immediately replied to the tag, where Aamir Khan said, "Let us fulfill our responsibility, and avail our right to get our voice heard." "Voting has to be a superhit katha b/w our nation and its voters," said Akshay Kumar.